Social media now serves as an inspiration for cooking enthusiasts across India, tempting taste buds and bringing amateur cooks to limelight. Here’s a look at some of the enterprising new talent in the field. An old notebook on the kitchen shelf, with pages stained with ghee (clarified butter) and masala (mix of spices) fingerprints used to be the only cookbook at home, the legacy of a kitchen with old recipes. The cooks of the 21st century, however, have a different take on things – they juggle complex recipes while simultaneously managing a social media following as well. 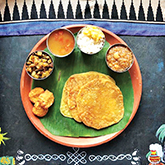 Gharelu or age-old household recipes are now being shared with the world through social media, garnished with an array of culinary experimentation. According to a study conducted by Microsoft, the average attention span of human beings has fallen to eight seconds. Pre-dominantly visual, Instagram has become the perfect platform for professional and non-professional cooks – the social following encouraging amateurs to continue with their endeavours. Of course, some have made it bigger than others. “The first thing I baked was a batch of vanilla cupcakes with my cousins. We got Betty Crocker cake mix and still managed to burn a couple of cupcakes,” says Bhatia while reminiscing about the beginning. At the age of 21, this young baker has baked past professionals. 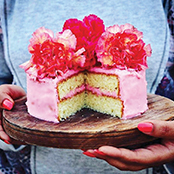 With a knack for food styling and photography, Bhatia’s Instagram feed is filled with sweet delights to tempt you into baking or running to a bakery. On December 2017 he received the ‘Social Media Star of the Year’ award from Conde Nast Traveller. He had won the Outlook Social Media award in 2016 and was featured in Vogue’s list of ‘20 under 26’ in 2017. Bhatia also runs a blog named Bake with Shivesh to relay his recipes. 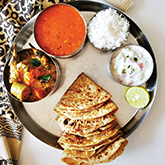 Raghuraman has been aiding India with her simple yet creative everyday recipes, revolutionising maa ke haath ka khaana (food made by mother’s hands). With the same title, her blog has over 900 recipes frequently consulted by users. “Food isn’t about cooking recipes with multiple ingredients, but actually about sharing love. 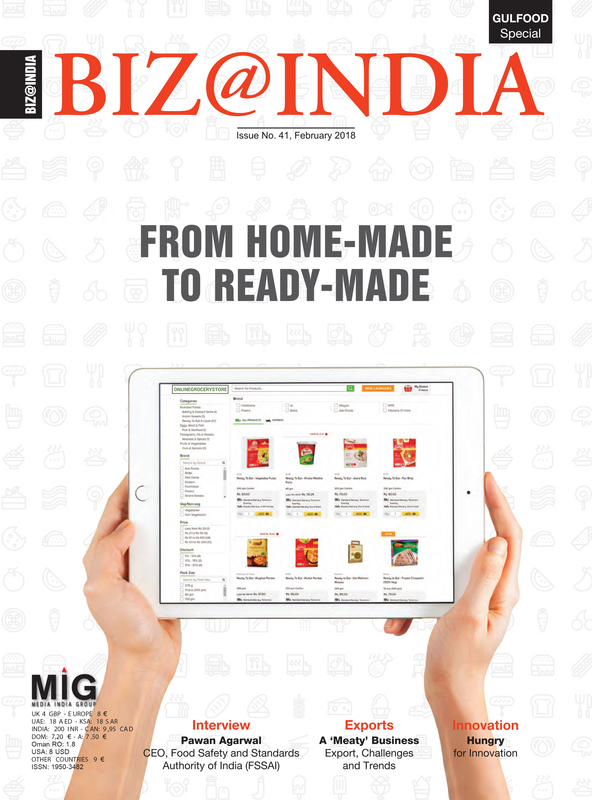 I hope that my blog inspires many others to fall in love with cooking,” she tells Biz@ India. If you are wondering why ‘gutless’, it is because Diddee lost her stomach to a tumour and she now has to consume six to seven meals through the day, as confirmed by the KEM Hospital, Pune. Her prior passion for food triumphed through the illness and she decided to share her kitchen creations with the world. 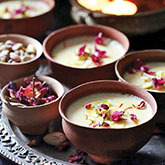 Constantly appreciated via likes and comments, she generally uses beautiful dupattas (stoles) to serve as attractive backdrops for her wonderful vegetarian and non-vegetarian dishes. Passionate about baking and definitely passionate about chocolate, Rajpal appeals to the sweet-toothed: cakes, macaroons, tarts, puddings, all with a dash of healthy fruits and floral insignia. About her love for food she says, “It’s challenging, inspirational, creative and therapeutic. I am inspired by seasons and the colours that nature offers.” She also has a personal museum of rustic props for artistically styling her food. 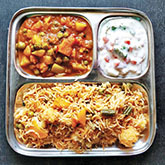 The thali is Subramanian’s forte, which are Indian platters with an assortment of curry, bread, vegetables and rice. Subramanian started the Tickling Palates blog as an online cookbook of vegetarian recipes, and branched into Instagram later. “I started the blog to keep track of my cooking adventures in the kitchen and to share my passion with like-minded foodies around the world. I love how it has grown now,” she says. Vlogger: Nisha Madhulika, Noida (north India) Born in 1959, Madhulika started a blog on how to cook vegetarian recipes in 2007 while struggling with the empty nest syndrome. Her popularity rose and she then started her Youtube channel in 2011, filming cooking videos and simplifying the recipes for her viewers. She often writes food columns in leading newspapers in India and also appears on television. Achievements: YouTube top chef in 2014, among The Economic Times’ India’s top 10 YouTube superstars 2016, Top YouTube Cooking content creator in the Social Media Summit & Awards 2017. Vlogger: Kabita Singh, Uttar Pradesh (north India) With a more casual approach, Singh’s channel broadcasts the process of cooking delicious non-vegetarian and vegetarian dishes, home-style. 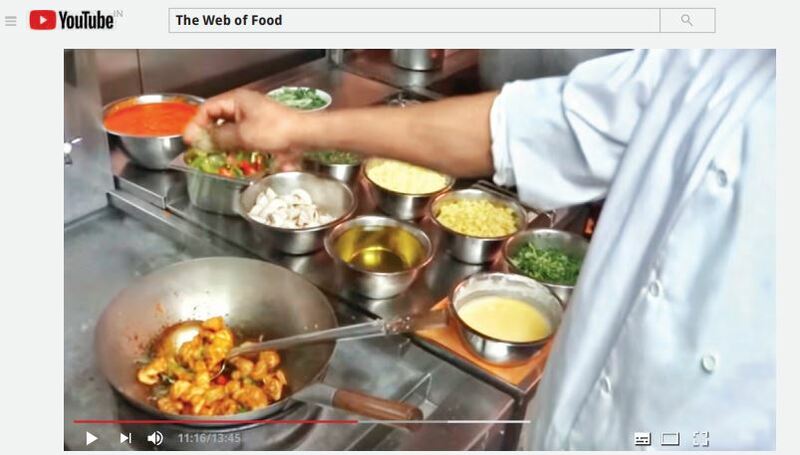 The motto of the channel is ‘everyone can cook’, with the most easy to procure ingredients in an Indian kitchen. The observations on Master Chef Mom made in this column is very apt , precise, true and exact. Uma Raghuraman is very practical and yet simple in her selection of receipes , simple in her method of bringing to the attention of viewers , simple in her articulation and yet very effective. It is extremely difficult to practice simple points and principles. ( example Love all and serve all statement). Congrats to Master Chef Mom.